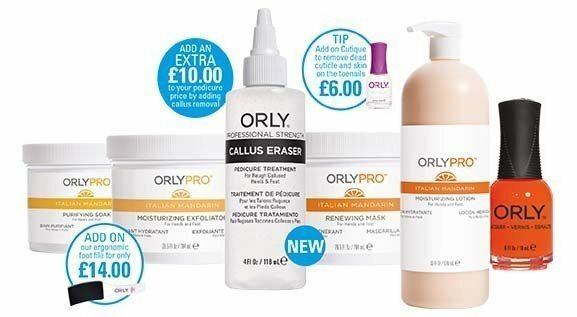 Purchase all 4 ORLYPRO products to perform your Walking On Air Pedicure and our NEW Callus Eraser including our NEW pedicure station. The Walk On Air Kit could offer up to 30 pedicures, if you charge £45.00 per deluxe pedicure this would equal a fantastic £1,350 from an initial layout of just £125! Plus receive our double sided window/wall poster and reception show card FREE!